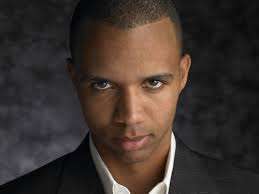 Breaking news from London, where a British judge has ruled in favor of London’s swanky Crockfords Casino, which was sued by famed US poker player Phil Ivey for refusing to pay £7.7 million (USD $12.4 million) that Ivey won during two trips to the casino in August of 2012, while in London for a major poker event. In a ruling issued earlier today, Britisih Justice John Mitting ruled that Crockfords would not have to remit the £7.7 million in “winnings” from the two 2012 sessions that Ivey had accumulated. Crockfords had refused to wire the winnings back to Ivey’s Mexico-based bank account, alleging that the “edge sorting” technique employed by Ivey and female companion Cheung Yin “Kelly” Sun at the casino’s high-stakes punto banco tables was a form of cheating and amounted to unfair play. Crockfords did return Ivey’s initial wagering stake of £1 million shortly after the poker pro’s two visits, which prompted the lawsuit by Ivey, filed in the spring of 2013, after his attempts to negotiate with the casino were rebuffed. Ivey has since become involved in a separate case in the United States involving the Atlantic City Borgata Casino and Hotel, which paid a similar amount to Ivey in winnings connected to four other punto banco sessions where a similar edge-sorting technique was employed by Ivey and Sun, an accomplished advantage player who has been referred to as the “Queen of Sorts” and who has been banned from other casinos in the past. Ivey has admitted using the edge-sorting technique as part of a complex negotiation of special gambling terms in an attempt to gain an edge in the game, which under normal circumstances is a house-banked version of baccarat with no skill element involved, that results in a slight edge (a little over 1%) for the casino. Through his own spokesman, Ivey declared that he was “obviously disappointed” with Mitting’s ruling. “Clearly today the judge did not agree,” Ivey added. The ruling also included a refusal for permission to appeal the decision through Mitting’s court, though British law allows Ivey’s lawyers to file an appeal directly, thus bypassing that technical step. Ivey and his attorneys have yet to announce if they will attempt an appeal. Likewise, Crockfords has not declared whether they will attempt to prosecute Ivey and Sun, his sharp-eyed companion, over allegations that the edge-sorting employed was a form of cheating under British law. Since the casino has not already filed a complaint alleging exactly that, it is possible that the casino’s parent company, Malaysia-based Genting, is hoping that the matter will be allowed to rest. In recent court testimony in the case, Ivey admitted using the edge-sorting technique not only at Crockfords and the Borgata, but at casinos in Australia and Canada as well. Ivey has participated in poker events at Australia’s Crown Casino in Melbourne in the past, while several large Canadian casinos also offer punto banco, such as Ontario’s Niagara Fallsview Casino Resort, though the exact casinos Ivey visited to play the baccarat variant remain undisclosed. Ivey also appeared in an interview first aired last night on Showtime’s “60 Minutes Sports,” a pay-cable spinoff of the famed, long-running CBS newsmagazine show. In the taped interview, Ivey professes his beliefs that the edge sorting that he and his companion employed is a legal form of advantage play, similar to counting cards at blackjack.